Home Archaeology Evidence that giants existed! AROUND THE TURN OF THE 19TH CENTURY THERE WERE HUNDREDS OF REPORTS FROM REPUTABLE SOURCES OF GIANT SKELETONS UNEARTHED FROM ANCIENT BURIAL MOUNDS ACROSS AMERICA. 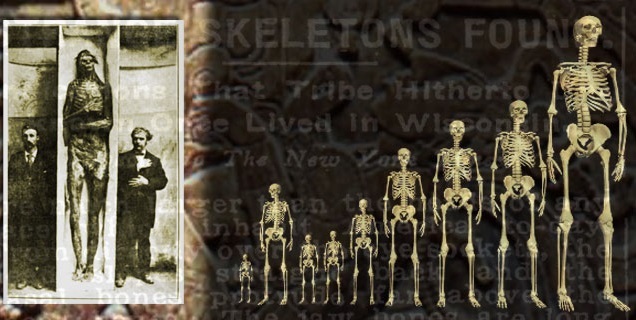 Discoveries of the giant skeletons were found all over the northeast, from Martha’s Vineyard and Deerfield Valley Massachusetts, to Vermont and upstate New York. 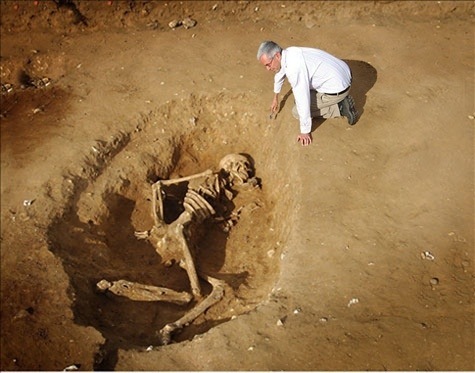 Other reports of the discovery of buried giants were also found in the south, midwest and west coast. In the Ohio River Valley, a report from a local paper, that was backed up by Scientific American, found bodies of several giants buried under a ten foot tall mound. One female skeleton was found holding a three-and-a-half-foot long child. Another of the giant skeletons was buried in a clay coffin and an engraved stone tablet was also recovered. This particular mound was 64 feet long by 35 feet wide. The history books deny that giants existed! Although so much evidence exists pointing towards the fact that giants once walked the planet. 17. In 1947 a local newspaper reported the discovery of nine-foot-tall skeletons by amateur archeologists working in Death Valley.